I remember playing hockey and knowing that there were line combinations and systems to operate under in certain games that made far more sense than what my coaches chose to do at times but being too afraid to speak up because of "inexperience." I remember being a sophomore in a High School English class thinking I had a great idea that might contribute to the conversation the class was having on a Sherman Alexie novel, but not feeling like I should share it. I remember being at a conservative Bible School my freshman year of college (I've since moved on) knowing that there were ways to talk about God that were far grander, more mysterious, fascinating, loving, hopeful, and beautiful, but not having the courage initially to pave the way for the conversations to unveil that to those around me. In all these moments, I knew I had a good idea, needed insight, or powerful perspective but I wasn’t nearly as quick to vocalize those ideas. We all have hippopotamuses in our backyards. We all have these huge, beautiful, strange, terrifying, foreign, new, exotic, and dangerous ideas that we don’t feel comfortable sharing. Backyards are a place where we can be comfortable. A place we keep to ourselves. They're for barbecues with those you’re close to. Hockey games with your sister. Chipping golf balls with your brothers. Having late night patio conversations with your parents. Backyards are a place of security and comfort. Front-yards are the gateway to the real world. They are exposed and on display for others to see. A front-yard is a place that is inherently not private because anyone who wants to see it can. The majority of a yards landscaping goes into our front yard. We want it to be well manicured and kept up. Comfortable to the eye. Our hippos reside in the backyard. Our cats bask in the sun on the front yard porch. Our brilliant, new, and fresh ideas hide where only we can see them. Our conformist and safe thoughts are what we share with the world. A lot times the things that we hide from others, those backyard ideas, are transformative and imperative to the progress of humanity. Historically speaking, the people we tend to remember most are the ones whose ideas pushed us ahead from where we were to where we are. They thought outside the norm in order to create reform. Think of Darwin, Ghandi, Jesus, Florence Nightingale. Each one of these people prompted something completely foreign to the dominant concisousness of their time and were ridiculed for it. Yet without them releasing those hippos, those exotic and unexpected ideas, those new and profound ways of doing things, we wouldn’t be nearly the same educated and competent people that we are today. Each one of them took a chance. Received ridicule. But transformed the basic nature of reality because of being bold. Because they released their hippos. What's that thing you've wanted to share in your work place that could truly benefit your company but you're worried about how it will be received? What's that question you have for your teacher that some of your classmates might ridicule you for asking but could open new and exciting doors of conversation? God but have been too afraid to because "that's not something that gets discussed in 'these' areas." Here's a hint: usually, that question, that idea, that pestering and nagging and persistent thing your mind wants to say... It genius. It needs to be said. It's the very thing that could result in necessary reform, education, and new perspective. Find that hippopotamus. Find that thing you've always longed to unveil to the world around you. Let that hippo run rampant and break down everyone's preconceived expectations. Spark the change that, if you and everyone around is being honest with themselves, is needed. 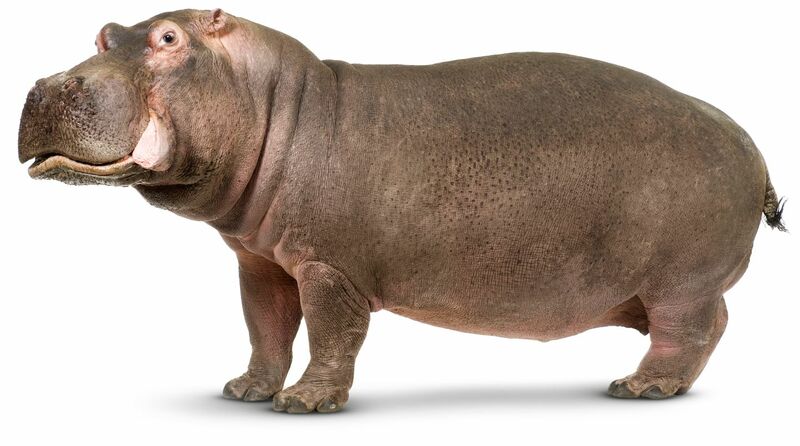 What are some "hippos" in your life? What are those big ideas and changed you want to see? Why haven't you taken the strides to do something? Is it fear? What can help you overcome that fear? How will you set up a plan to do something? Fireflies and God and Seeing. How have we gotten so off track with our definitions where a call to action has become a passive bowing of the head?